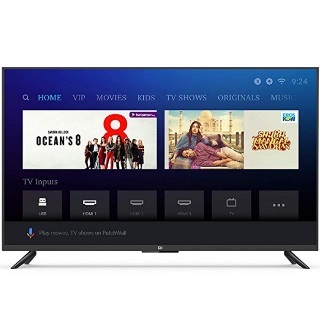 Bestsellers in Smart Televisions: Shop Top 10 Best Selling Smart TV on Amazon.in at Upto 40% Off. The no.1 selling TV is MI Smart TV 4c pro 32inch and second one is another Mi Smart TV 4A Pro 49inch. LG, TCL and other brands also in this best selling list. Best selling smart TV on Amazon.in, starting from Rs.12999 only. You can also get exciting exchange and No cost offer. Shop now!